Your employer requires proof of coverage before hiring you? Piece of cake, we can get your certificates of insurance (COI), at any time, free of charge, delivered to your inbox at lightspeed. Rest at ease, we got you covered! We can protect you according to your needs, ensuring that you get the right coverage, uninterrupted and with unparalleled customer service. This industry has several potential risks that can affect your business negatively if you aren’t prepared for them (i.e. theft claims against an employee, handling priceless belongings, and working with hazardous chemicals). Primary Liability: it pays costs associated with individuals injured in accidents you cause. Physical damage: this policy pays costs associated with damage to your truck and trailer. Cargo Insurance: Includes coverage of your cargo. If you use equipment (vacuum cleaner, carpet steamers) and it’s damaged by fire, theft or vandalism; or if you operate out of an office (leased, owned or from your home) and it is damaged by a tornado, fire or vandalism, you will have funds to make repairs or replace it. If you need extra protection, you can raise your limits by $1M increments. It can be applied to augment limits of the General Liability, Commercial Auto or Workers' Compensation policies. It usually starts at $100/year. 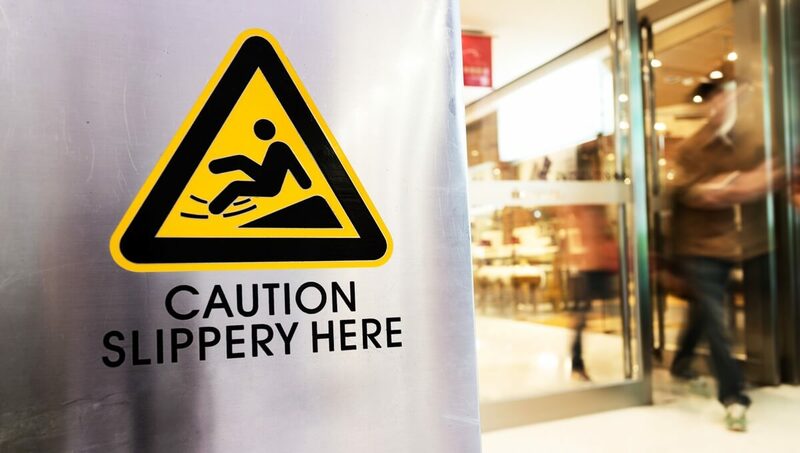 Your employee slips because of a wet floor and falls. Workers' Compensation covers medical attention, ambulance ride and may cover compensation for your employee’s missed wages while she/he is recovering. If you or your employees require transportation to perform the service, using a company vehicle, a rental car or the employee’s own vehicle; Commercial Auto protects the vehicle and any individuals involved in case of an accident. The insurance company agrees to pay your client if for a reason you can’t deliver on your contract commitments. However you need to repay that amount to your insurer. Clients will hire you because the policy vouches for your work. It usually costs $100/year. Protect your income if the facilities you clean cannot be serviced. 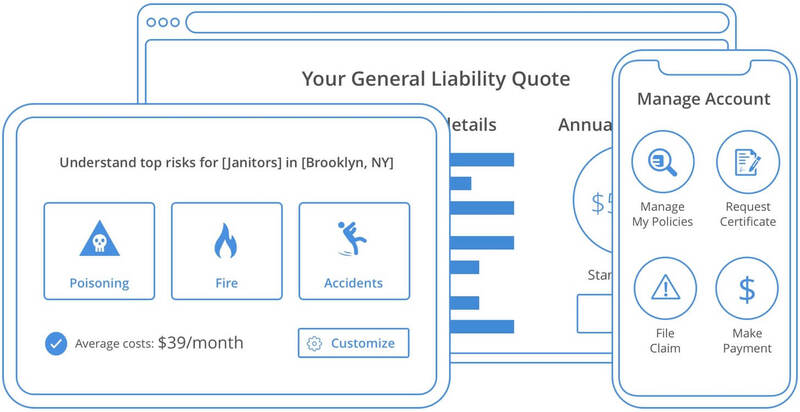 What variables can affect price of Janitor Insurance? Commercial vs. Industrial vs. 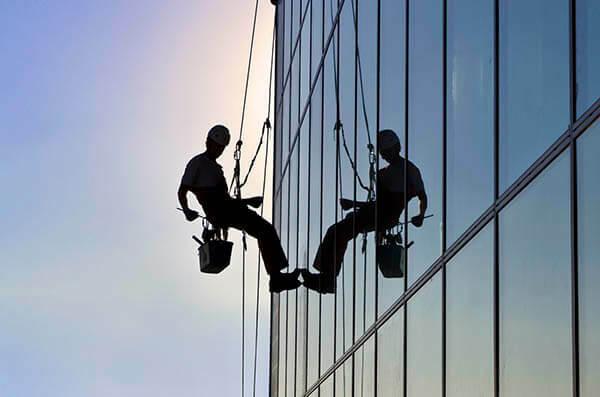 Residential: Cleaning and Maintaining Commercial buildings is riskier than Cleaning Residential buildings. How much is insurance for a House Cleaning Business? 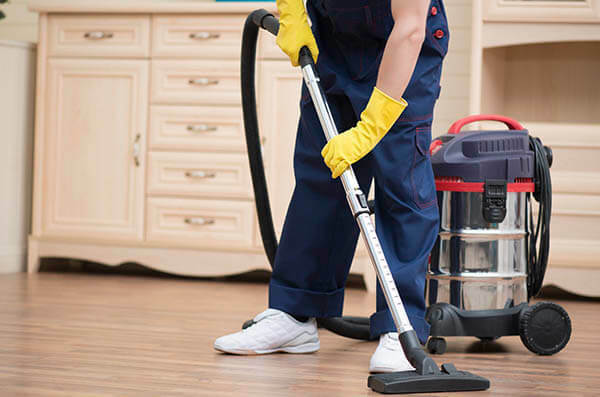 For maid and home cleaning businesses, general liability insurance may be needed to cover the costs of potential lawsuits by a client. General liability insurance can also cover lawsuits over bodily injuries and advertising injuries. On average, this type of insurance costs maid/house cleaning businesses $374 to $696 in annual premiums. It is important to note that quotes can fluctuate based on the size of your business, risks involved, and other factors. 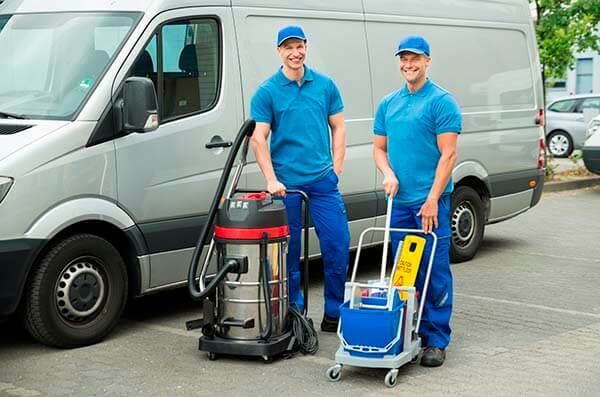 How much is insurance for a Janitorial Business? 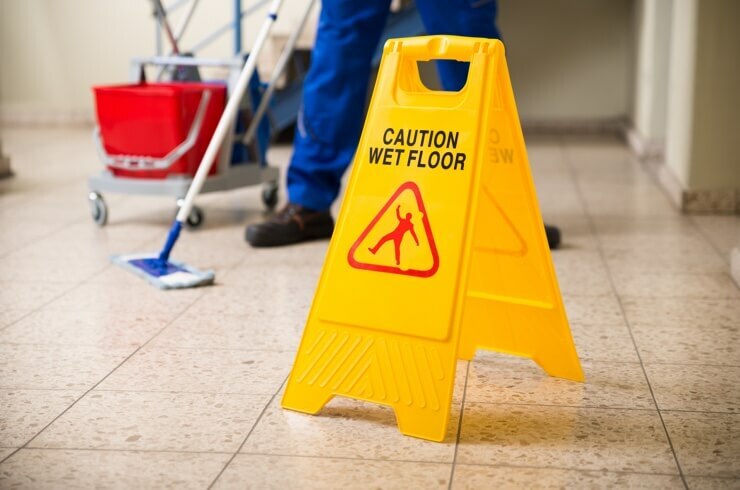 Determining a specific cost of insurance for a janitorial or cleaning business isn’t an easy task and it may be hard to find small business insurance. Depending on your cleaning business, your risks could be viewed differently by insurance companies. Key factors include your insurance and bonding claims history, when you started your business, and safety protocols for your employees. 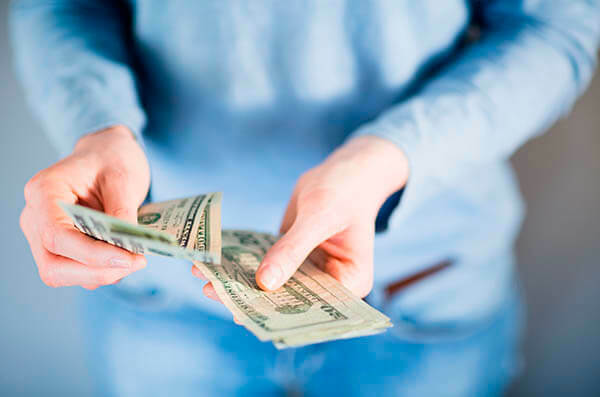 On average, cleaning businesses are looking at: $24 minimum monthly for low risk businesses, $42 median or $82 average monthly cost for average size businesses. A “BOLI” known as bank-owned life insurance, is a form of life insurance purchased by banks where the bank is actually the beneficiary, and/or owner. This form of insurance serves as a tax shelter for the administering bank, as it is a tax-free funding scheme for employee benefits. In other words, it is a tax efficient method that offsets employee benefit costs whereas cash surrender values grow tax-deferred, providing the bank with monthly bookable income. What is COLI and BOLI? In contrast to BOLI, which is bank-owned life insurance and more specifically a tax-free funding scheme for employee benefits; COLI is corporate owned life insurance which is an investment alternative to Mutual Fund scenarios, allowing a corporation to accumulate a tax-deferred asset. The company purchases and owns a life insurance policy on a key employee and is the primary beneficiary, also receiving tax-free benefits. The corporation pays non-deductible premiums and receives tax-deferred cash values. What does a janitorial service bond cover? 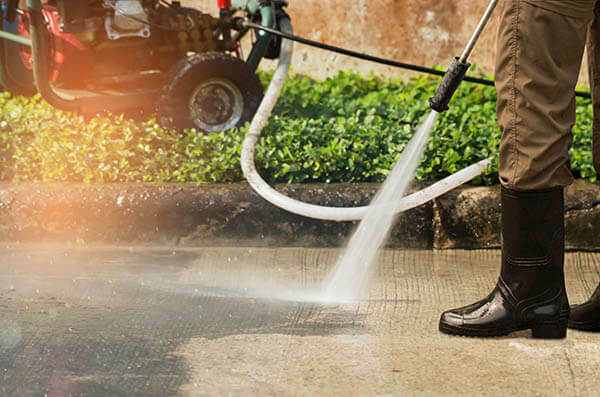 Janitorial service, or “surety” bonds cover the property and possessions of your clients whether you have a janitorial, cleaning or housekeeping service. This type of bond mainly covers theft by dishonest employees, but do note, it does not cover property damage. Though a janitorial bond is usually optional, certain types of cleaning business may require some form of a service bond. Overall, a janitorial surety bond shows your clients you can be trusted.